All too often drivers fail to look out for motorcycles while on the streets and highways in southern Arizona. When drivers act negligently and hit or cut off someone riding a bike, serious injuries can result. If you have been involved in a motorcycle accident in the Tucson area, it is imperative that you receive prompt medical attention and speak with a lawyer who will fight to have your bills paid for by the negligent parties. 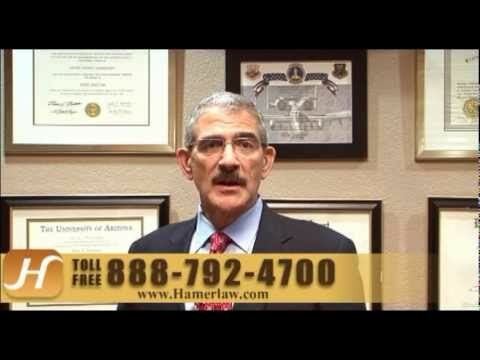 At The Hameroff Law Firm, we provide hands-on, personal service to our clients. When you are hurt in a motorcycle crash, you can rely on our team for aggressive and dedicated representation throughout your personal injury claim. Contact our motorcycle accident law firm today to schedule a free consultation with an experienced Arizona attorney about case. If your loved one has been involved in a fatal accident while operating his or her motorcycle, we will provide you with the compassionate representation you need to move on with your life and have your financial worries taken care of. We know how to properly and effectively pursue all negligent parties in a wrongful death claim. For a free consultation, please call our Tucson motorcycle accident lawyers at 520.792.4700 or 1.888.792.4700 today to discuss your case. You can also send us an e-mail now to schedule an appointment.